In 2005, the Indian state of Kerala banned the production of Coca-Cola products in the region, due to the company’s excessive use of water and poor record of pollution. It was clear to Coca-Cola that they could improve their water efficiency and overall water stewardship, not only in Kerala but throughout their worldwide operations. Jeff Seabright was hired to head Coca-Cola’s Environmental and Water Resources Group, both for his political acumen and his knowledge of climate change. Jeff used his cross-sector experience to solve the company’s water problem, working with partners from government and non-profit sectors, including World Wildlife Fund (WWF) and the United States Agency for International Development (USAID). All three sectors collaborated to create sustainable hydropower initiatives, improving water accessibility and infrastructure in locations where Coca-Cola operates. 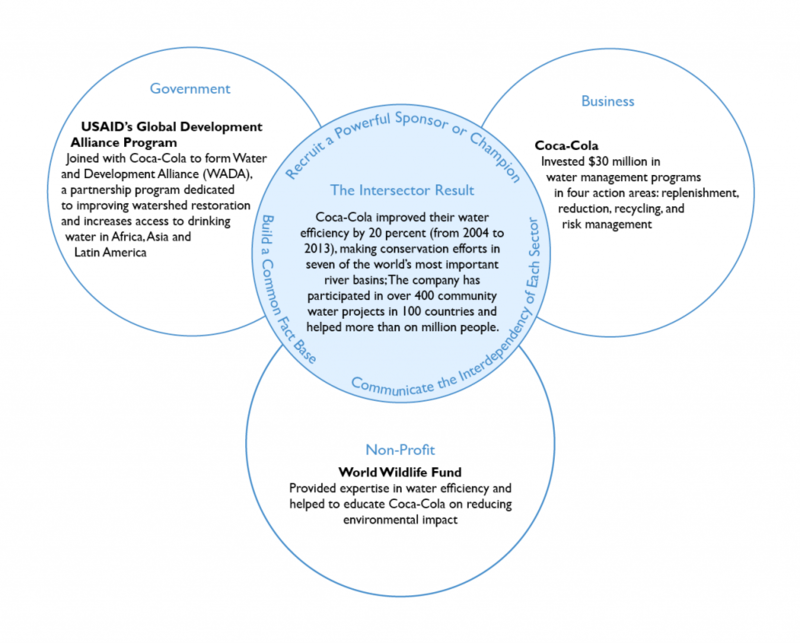 His cross-sector approach helped position Coca-Cola as an industry leader in water stewardship. Jeff addressed Coca-Cola’s water challenge by forming partnerships with government departments and non-profit organizations, leveraging their expertise in order to improve the company’s water efficiency and reduce impact on community watersheds. Jeff’s insight into each sector’s culture, incentives, and resources came from working on environmental issues across multiple sectors, rendering him well-qualified to lead Coca-Cola’s collaborative approach. Jeff has always been civic-minded: he began in the Foreign Service with the State Department, where he spent 15 years focused on nuclear disarmament and arms control issues, helping to close the Rocky Flats Plant nuclear weapon production facility. He continued working on public policy issues at USAID, building his knowledge of environmental issues, before serving as executive director of the White House Task Force for Climate Change. At Coca-Cola, he introduced water-related performance measures and made responsible water management a system-wide priority. Jeff endured criticisms that he was ‘going to the bad guys’ when Texaco recruited him from the public sector to be the Vice President of Policy Planning. For Jeff, the move from the public to the private sector was an opportunity to work with organizations that could quickly implement and scale solutions to reduce environmental impact. During his time in the public sector, Jeff learned to engage stakeholders and inspire action, even when his priorities differed from those of the leadership. Jeff’s consulting experience at Booz Allen Hamilton and Green Strategies equipped him with the tools to identify opportunities for efficiency improvements. With experience operating in multiple sectors, Jeff brought discipline and a systematic approach to the ways in which a business could evaluate its environmental impact. His expertise on the environment – particularly on technical elements, regulatory practices, and impacts from manufacturing operations – allowed him to develop a strategic, collaborative approach to water management. Jeff’s cross-sector experience taught him the specialized language specific to each sector. For example, in order to build support for water use issues at Coca-Cola, Jeff translated the operational risk of water into a language and practice that made ‘business sense.’ Jeff’s cross-sector experience helped him navigate bureaucracies, manage corporate concerns about risk management, address community grievances, and use the expertise of environmental groups to achieve water efficiency. His understanding of the constraints of different sectors prepared Jeff to direct change through multiple, complex avenues. Under Jeff’s leadership, Coca-Cola designed a questionnaire (eventually completed by 94 percent of its plant operators) from which they created a water risk analysis model. The model, which benefits 23 business units, considers supply reliability, efficiency, compliance, watersheds, and other local factors. Two-day meetings with local operators resulted in ‘buy-in’ on multiple levels. Drawing on expertise from the private sector, Jeff created a water stress map which showed that in Coca-Cola’s operation plants, 39 percent of the company’s volume was produced in water-stressed areas, and that these areas were some of the most financially promising. This presentation of information helped company managers recognize the urgency of addressing water management issues. Coca-Cola now produces an annual, publicly available report, which details progress on its commitment to water neutrality and the status of its intersector partnerships, including USAID and WWF, who in turn produce their own commentary on progress in their shared water stewardship. WWF has the expertise to measure water use and to develop water stewardship solutions. Jeff identified the benefits of working with organizations from other sectors, even those that sometimes opposed certain aspects of Coca-Cola’s business. When several national chapters of WWF voiced reservations about working with Cola-Cola, Jeff directly engaged with the skeptics to address their concerns, to discuss issues or to “just compare notes”. This resulted in a stronger appreciation both of how leadership from each sector understood the issue, and of how other sectors viewed Coca-Cola’s role in water-related problems and solutions. Coca-Cola’s CEO and Chairman Muhtar Kent refers to business, government, and civil society as ‘The Golden Triangle’, and affirms that a collaborative approach to water stewardship is essential to Coca-Cola’s water efficiency goals. CEO-level support for a cross-sector approach helps Jeff to promote and advance water-related partnerships, both internally and with Coca-Cola’s government and non-profit partners. In 2007, Coca-Cola received USAID’s “Alliance of the Year Award”. Coca-Cola’s initial five-year partnership with WWF has been renewed until 2020. Coca-Cola’s global water use ratio is down from 2.7 liters of water used per liter of product in 2004 to 2.1 in 2012. 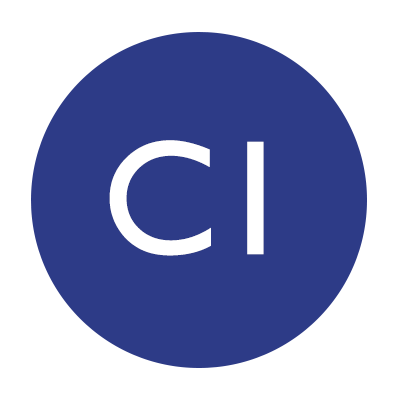 In 2012, the company announced a $5 billion investment in India, marking a restored confidence in, and acceptance by, the Indian market.